RECIPES FOR FARM STAND BOUNTY! What to do with all of this bounty of food from our local neighborhood farms and yards! Can’t figure out what to do with the apple or permissions? 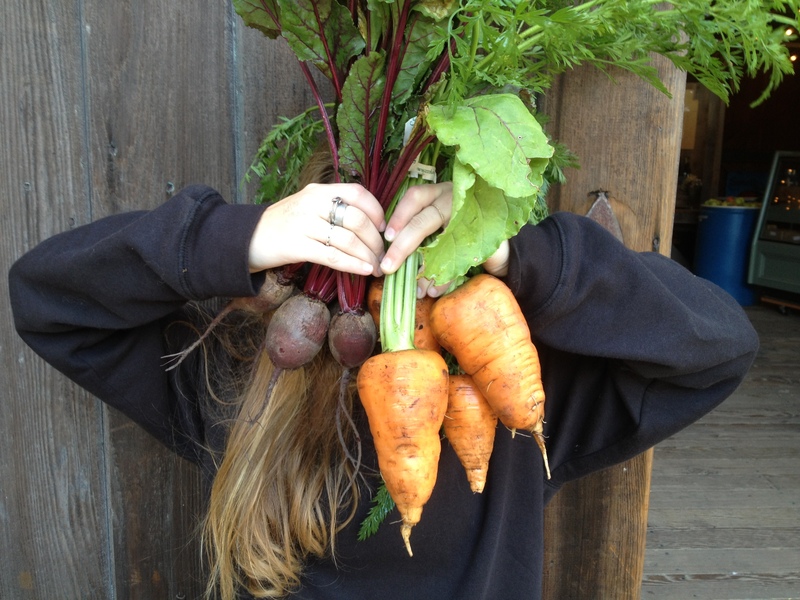 Here are some recipes to help you use some of that local produce you found at the farm stand! We picked about 150 lbs of apples from a neighbors trees one afternoon and we place a few boxes of the apples out for free at the farm stand and took two large baskets of apples home for canning. These trees were not maintained and many of the apples had various worm holes so we had to distribute them quickly. We put some out for free at the farm stand and used some ourselves. An important item for the tree harvesting was (2) pole fruit pickers we purchased before the harvest from Orchard Supply hardware. Ladders were not needed. Apple sauce is one food item you really can’t fail at. It easy, cheap and kid friendly and healthy. Wash and core and then quarter apples with their skins on. cut out and remove any worm or bad areas of apple. Often an apple will have a small bad part, but most of it will still be completely useable. Once they are very soft mushy, you can run the whole thing through a food mill or a blender or food processor. The skins will be part of the sauce. After all of the milling, you might get a minimal amount of stuff that won’t go through the mill. EAT or freeze or can or place in the frig for use within 1-2 weeks. For canning, carefully follow the canning directions for the method you are using. Recipe #2 – There are times when I just need a small batch of smooth apple sauce to add to my granola recipe as the granola is primo when made with fresh apple sauce versus apple sauce from a jar. So just wash and slice the apples into the quarters with the skins into the pot with water and cinnamon for the amount you need. Then once cooked down, put them into your blender and blend it down and make the skins disappear! the skin with a spoon. Or cut off the tops and serve as a dessert in shallow glasses. 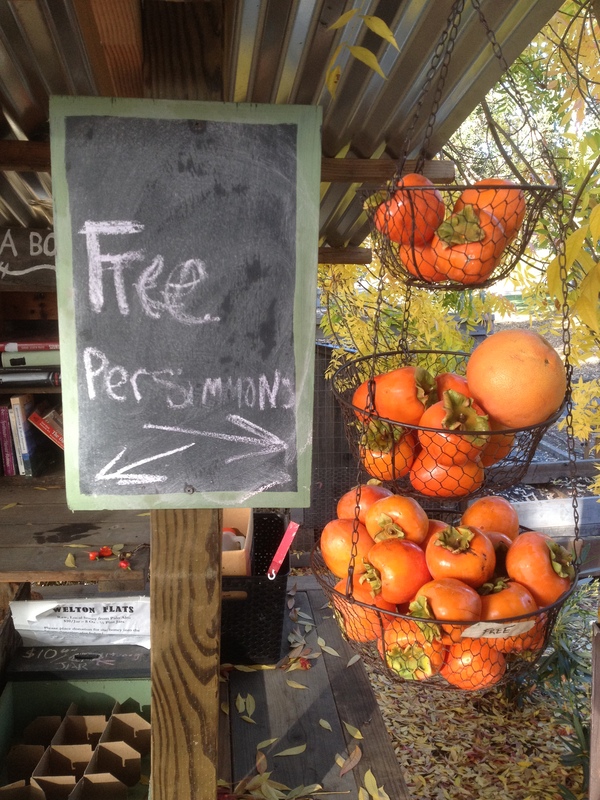 persimmons to use in salads and desserts. as a simple dessert; eaten this way, they are similar to a fresh fruit ice. serving dish, or serve whole. and fruit peels; beat just until well blended. mold. Bake in a 350º oven for 40 to 45 minutes, or until inserted pick comes out clean. more and serve warm, dusted with powdered sugar or topped with whipped cream. smooth; you should have 1-1/4 — 1-1/2 c. Set aside. heavy bottomed saucepan, place the egg yolks and whisk them for a moment. Add 3/4 c.
form. Slowly add the remaining 1/4 cup sugar and continue beating until stiff peaks form. prepared shell. Chill several hours. Makes one 9-inch single-crust pie.